This comic project is about LGBTI: Lesbians, gays, bisexuals, trans, and inter* who are still discriminated against all over the world, e.g. at school, at work, in health care systems, in churches, in public or private life. Since discrimination is often a result of ignorance and invisibility, the aim is to make the life of LGBTI visible. The way of life, the environment, the self-concept and the identity of LGBTI are going to be more visible and understandable through biographical comic reports. For this purpose, Martina Schradi collects stories of LGBTI by interviewing them and transforming the stories into short 1-3-paged comic reports based on real life events and experiences. Since 2013, Schradi has drawn more than 40 comic strips, some of which have been published on this website (original: www.achsoistdas.com) and in print as a book and as posters to be exhibited in various venues in Germany, Austria, Switzerland, Finland, Tunisia, Italy, Ukraine, Belgium, Canada. Please contact us if you want to exhibit the comics in your country or if you want to translate the comics in your language. In addition, the team offers comic performances and live acts, lectures and workshops. 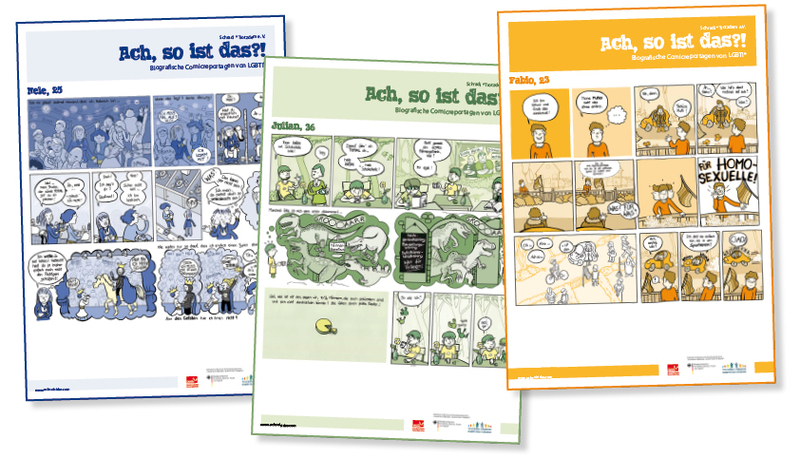 A corresponding educational program for schools based on the comics is also available as a tool for teachers to discuss the issues with youngsters (currently available in German). Chris Grosch and Julia Michel and an anonymous helper translated the comics. 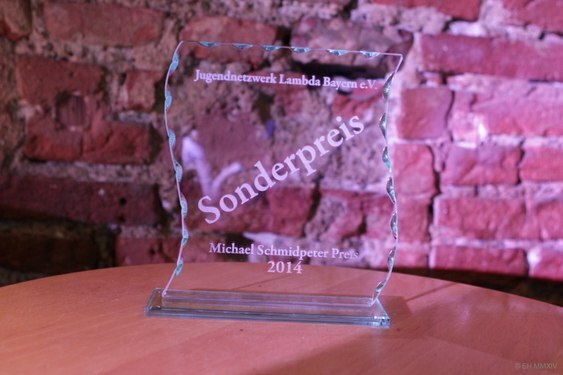 2014 the project was awarded the Michael-Schmidpeter-Sonderpreis. The German edition of the project ist supported by the German Ministry of Family, Seniors, Women and Youth, by the Human Rights Office of the City of Nuremberg, and by the Hannchen-Mehrzweck-Stiftung.